Welding is a process for joining separate pieces of metal in a continuous metallic bond. There are different methods of welding such as arc welding, cold-pressure welding, gas welding, MIG welding, Tig Welding etc. However, the job is not difficult but sensitive all the way. A study found that 92 percent representative of people in welding training seeks awareness of safety before they actually involved in this particular field of work. So, as you can see, Safety is the first thing you should consider before you get started. Billy, a welder for more than 12 years, has a boatload of certifications and proficiencies. He received his training from a 2-year college welder/fitter program in the US. He shares his working experience as a welder – “Right after my high school, I entered a 2-year welder/fitter program at a college near where we lived at the time. If you think welding is a hard work then I want to assure you that it’s not. You just need to be alert for what you are doing. It’s more like cooking a dish but you have to be careful not to ruin your hands or ruin the whole dish by not giving enough attention. 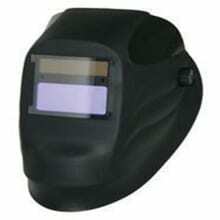 Don’t be brave enough to start your welding job without an industrial grade welding helmet. Everybody wants to protect his eyes. Hope you are on that list too. Besides, this helmet will make you look cool like IRON MAN. 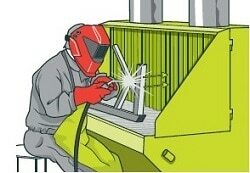 Before using your welding gun or equipment on metal, make sure you have read all the instructions to avoid any hazard. Electric shocks, Fire or even Explosions happen when you don’t take them seriously. Burns are the most common injury to welding operators. Welding arcs are very intense and can cause serious damage to your skin. So, don’t forget to buy an apron and a pair of flame-resistant gloves. Flame resistant gloves will protect your hands and wrists from the fire as well as cuts or any other scratches. You may ask, why you would need safety glasses if you already got an industrial grade helmet? 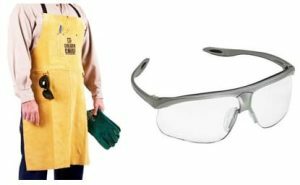 The answer is, safety glasses will protect your eyes from flying particles in the working area. 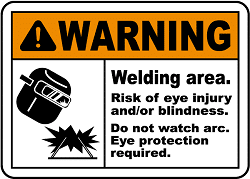 Please wear, welding jackets, safety glasses with side shields or goggles to prevent sparks or other debris from hitting the eyes. 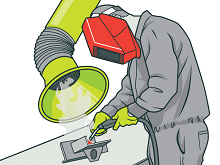 The fumes produced in a welding operation can be hazardous to the welder. Overexposure to welding fumes and gases are common scenarios in the welding industry. They can damage your health in the short and long term. Exposure can cause asthma, irritation of the airways, bronchitis etc. So, the welding areas must require sufficient ventilation and local exhaust to keep fumes and gases from the breathing zone and the general area. In most cases, employers provide a ventilation system- such as a fan, and an exhaust system or fixed or removable exhaust hoods- to remove fumes and gases from the work area. The hood should be positioned as close as possible to the source, ideally less than one hood length away – don’t stand between the hood and the fume. Use the right welding set up is another key thing every welder should keep in his mind. A wise welder will always choose a good weld position and avoid crouching. You should also use turntables and or other devices to move the workpiece and to keep the fume away from your face. You can use electrodes that create less fume. High currents and a long arc increase the probability of undercut. Undercut usually caused by an incorrect welding technique, incorrect electrode positioning, or incorrect travel speed. So, don’t make hurry or too long welding rather wait and take regular intervals to finish the work smoothly instead. Does it look like a headphone? Well, it’s not. It’s called the Earmuff. Earmuffs keep metal sparks and airborne particles from entering your ear canal and protect your hearing from the effects of excessive noise. According to ANSI and AESC, welders work at least eight working hours per day. 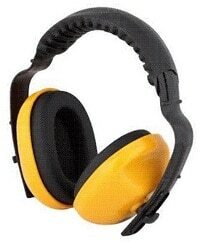 It means you have to hear high noise levels during the whole of your welding hours. High noise levels cause damage to the eardrum and other sensitive parts of your inner ear. Better have it in your cart right now before you get deaf. Welding training program is particularly important because there are so many risks involved. Each year approximately 200,000 people are injured while welding on the job. To avoid the basic hazards of the field, technicians should take part in effective welding training. Besides, the training will add practical experience and help individuals work more confidently. 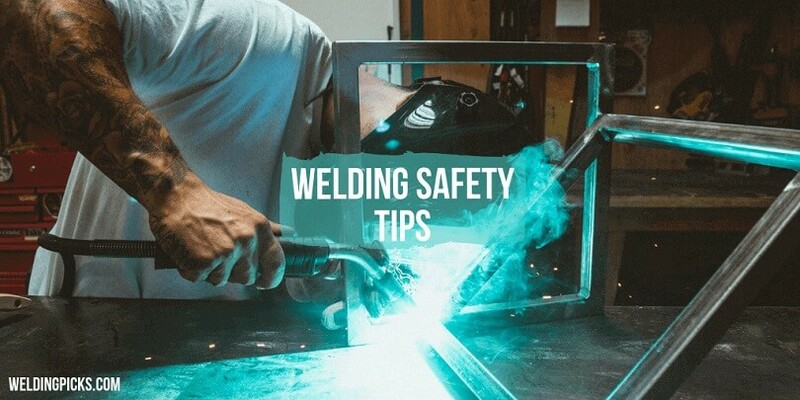 Welders need training in materials handling, both manual and with mechanical lifting assistance; protective gloves, helmets, respiratory protective equipment, overalls, and boots must be worn; cabling on the floor should be minimized and clearly signed or marked as a trip hazard. Try to find a welding job in the company that cares more about the safety of your health and life. The key to setting up and maintaining a safe workshop is in planning and the initial stage of this is the risk assessment. The employer has a responsibility to look after the health of his workforce, enforceable by law in many countries. Welding shops are traditionally noisy, dirty and risky place. The environment in which a welder works has a number of hazards that are not specific to the welding process itself. Manual handling of heavy awkward metal components is often required. Thinner, lighter metal sheet may have sharp edges. Slips, trips, and falls may be more likely as welding often requires thick cables to be spread across the floor. Standard workshop safety and protection practice should be used to counter these problems.